Introducing the new carabiners and quickdraws of 2015. This video explains all the features of Nano 22. I have eight of these on cams. 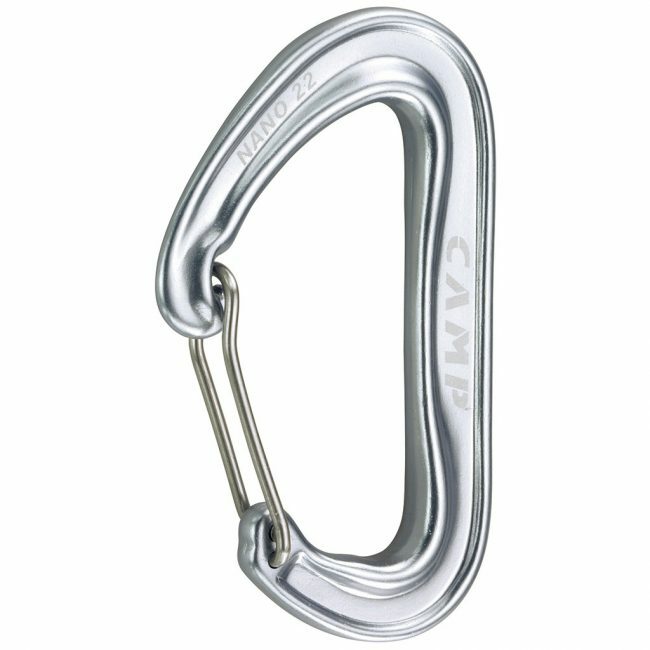 Feels ok in hand and use. If one is willing to consider more local businesses look elsewhere, as these are Made in China. 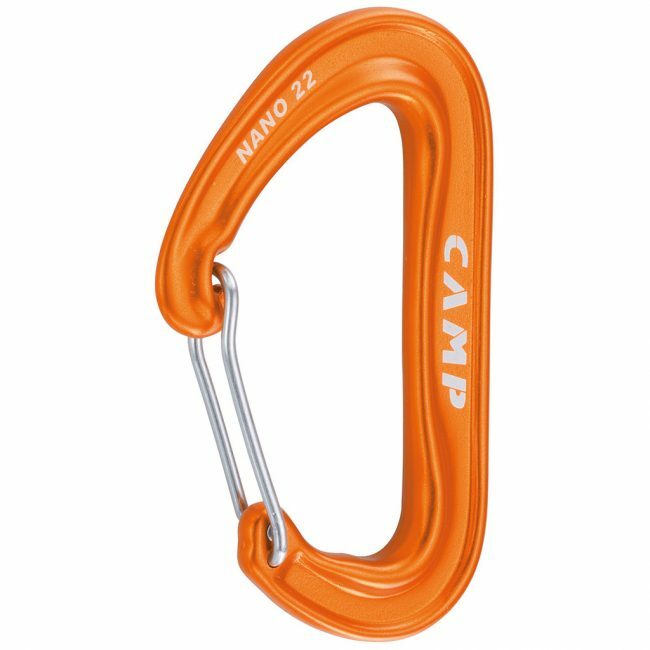 The CAMP Nano 22 is one of the lightest full-strength carabiners on the market and our Top Pick for Ultralight choice. 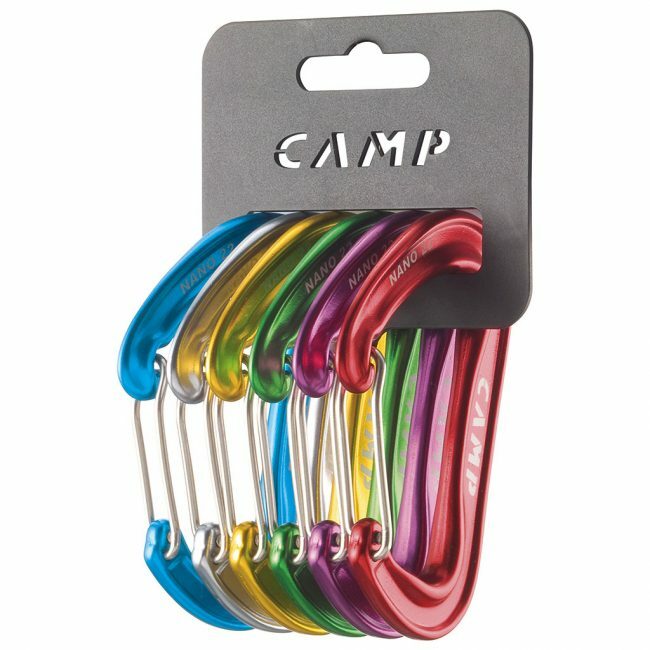 CAMP likens using lightweight gear to giving your rack an enema. We could take that analogy one step further, and say that while it might lighten you up, you might not enjoy the process. Our testers found it hard to clip and unclip, and you wouldn't want to use these with gloves on or at an anchor. All that being said, if you are looking for the lightest possible climbing rack (and aren't into fee-soloing), then the Nano 22 really is your best option.